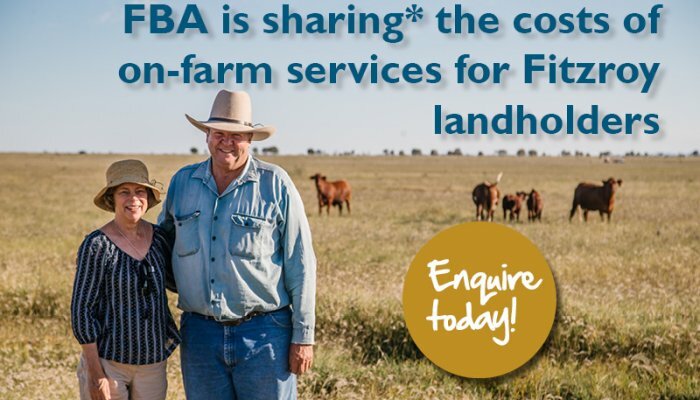 Fitzroy Basin Association Inc. (FBA), in partnership with Glencore, unveiled a state-of-the-art mobile education hub at last weekend’s 2019 Springsure Working Horse Association Fundraiser. 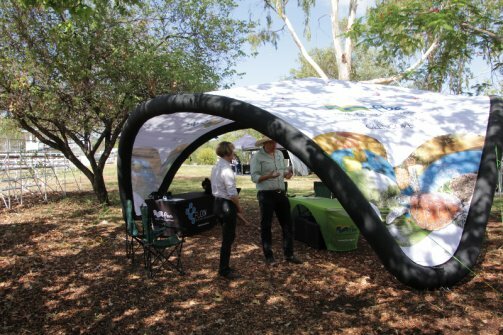 Designed to strengthen environmental stewardship in regional communities across the Fitzroy Natural Resource Management (NRM) region, the TechConnect Hub is a huge 7m² inflatable tent filled with the latest range of interactive models, tools and technology, and is the first of its kind in Australia. FBA staff members in front of the TechConnect tent. Cooper York checking out the technology on offer. 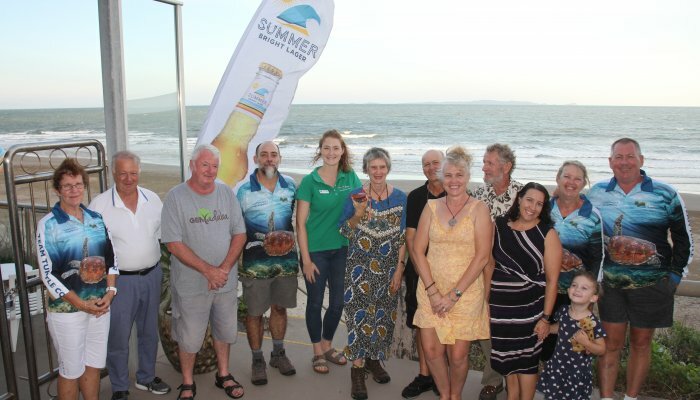 The highly adaptable space will assist producers, students and community members in their understanding of the benefits of best land management techniques and other behaviour that positively contributes to water quality and Reef health. FBA’s Science Engagement Officer Daniel Rea said that the launch was a great success with attendees of all ages exploring the new space. 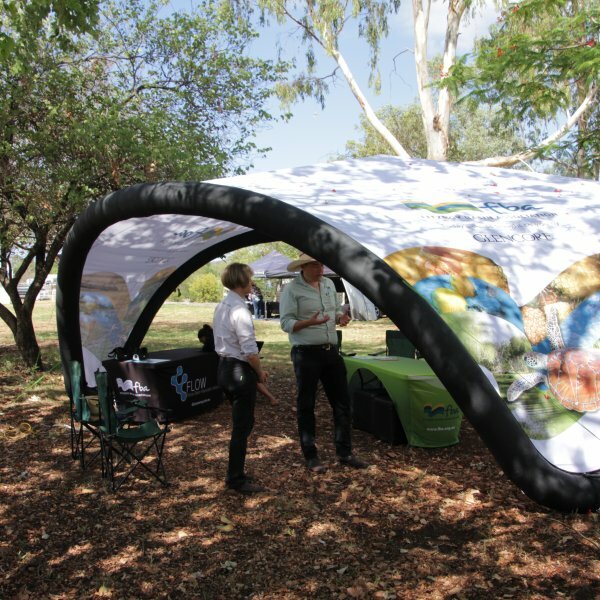 “The TechConnect Hub launch enabled us to bring the Springsure community something they’ve never seen before. 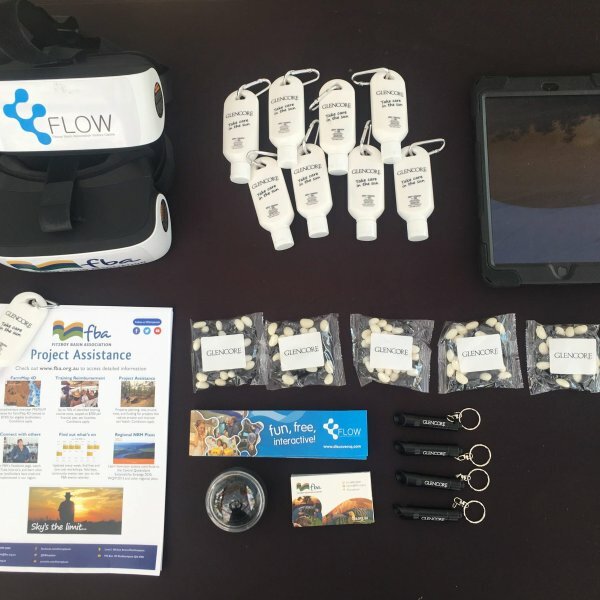 Through new technology, attendees learnt more about their catchment and took home a greater awareness of how their community is linked to the Great Barrier Reef,” he said. 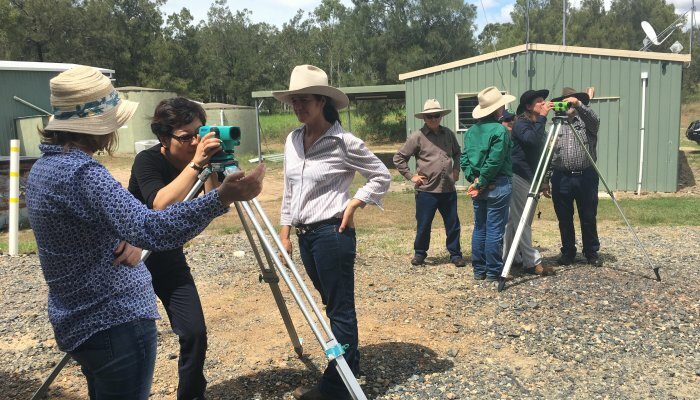 “Along with soil testing and learning about grazing best management practices the beach was brought to Springsure thanks to virtual reality technology. Children were delighted to be immersed in a beach clean-up event and learn more about the impacts of marine debris. The TechConnect Hub is the result of an exciting collaboration between FBA and Glencore. Through funding from Glencore, this mobile space will educate, excite and empower regional communities with the newest tools, practices and technology. 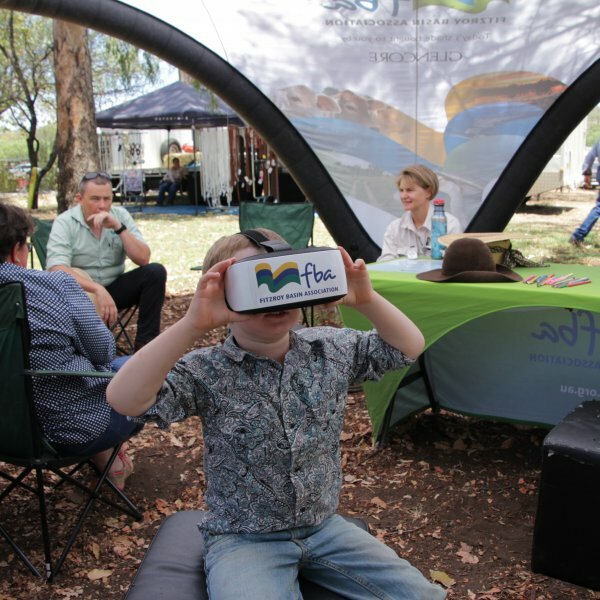 Following last weekend’s launch, FBA staff will be using the TechConnect Hub at community events, schools and workshops to provide training and demonstrations across the whole Fitzroy NRM region. 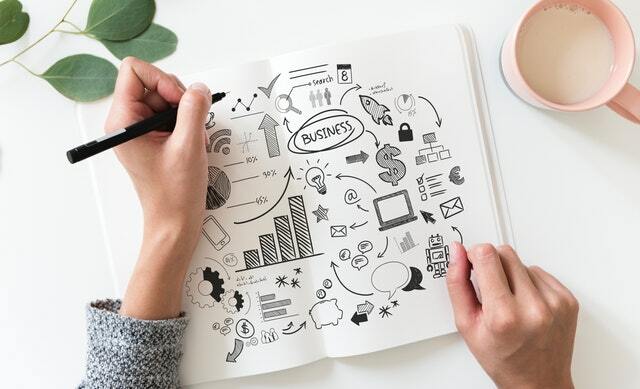 If you are interested in attending FBA’s next free event or seeing the TechConnect Hub keep an eye on FBA’s event calendar. « PREVIOUS: 2019 Community Grants now open!